Just a short walk to the Chiton Rocks Beach and a small drive to both Port Elliot with the amazing Horseshoe bay and Victor Harbor. From board games, sports equipment and foxtel we have something for everyone to do. It’s quite a big house, so you will find that there is plenty of space, and even with large groups you won’t feel cramped. 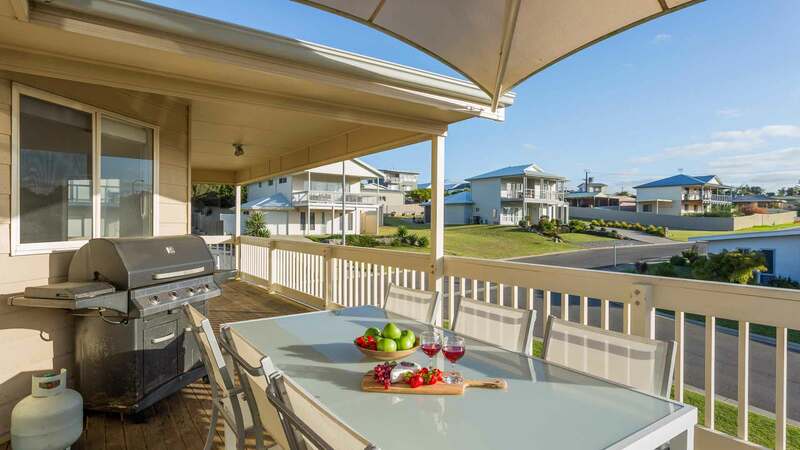 With two living areas, two bathrooms, and a large decking area, Rocks Beachhouse is sure to allow you to sit back and relax and enjoy your break. “Our goal is to have a house that everyone of all ages can enjoy. A house that will create lasting memories for young and old”. When you arrive at Rocks Beachhouse you will find that it exceeds your expectations. With plenty to do, and a well laid out house, you are sure to enjoy your stay. We have kept improving the facilities of the house to make sure that it is perfect for a wide range of Stays. All beds are made and ready to use when you arrive. Perfect for a large family or group..
Don’t take our word for it. See what these guests had to say about Rocks Beach House. 30% deposit on all bookings over 30 days away. Pick the days you want to stay..